I recently came across this story for the first time in many years. 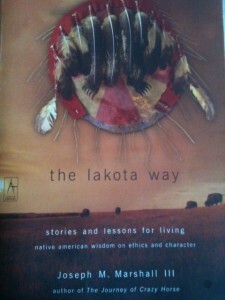 It had a profound impact on me when I first read it, and I believe this story can help others as well. 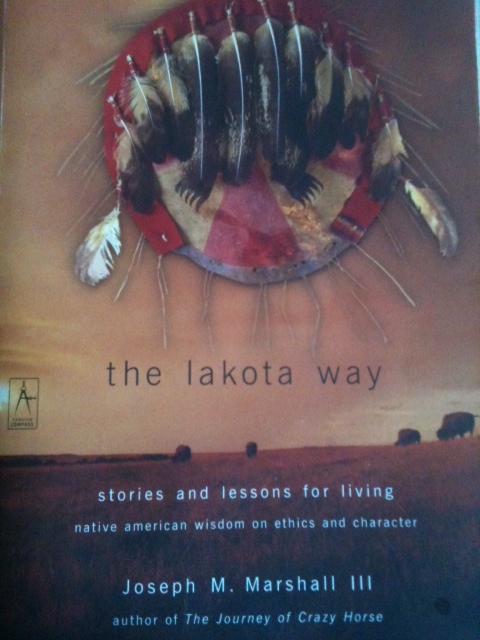 It’s part of the introduction from The Lakota Way: Stories & Lessons for Living, by Joseph M. Marshall III, and shares a grandfather’s wisdom about dealing with the cruel things that children sometimes say to one another. “A playground dispute in the fourth grade concluded with a barrage of epithets hurled at me, each one more stinging than the one before. I was called every derogatory name for Indians that two white fourth-grade classmates could remember. Stunned, I could think of nothing equally hurtful to throw back. That evening, still hurting from the insults, I told my grandfather about the incident. I find this story empowering. It’s a beautiful way to help face the reality that children and adults alike are capable of saying incredibly hurtful things. So how do we teach resilience? How do we teach children to cope with the inexcusable and inevitable cruelty that they will surely face at some point in their lives? Values and coping strategies are taught in more ways than one. Sometimes a direct, discussion-oriented approach is helpful; teaching through example is even more powerful. But never underestimate the power of storytelling. When stories enter a child’s heart, mind and imagination, they teach vicariously and their meanings often expand over time. What are your favorite “teaching stories”?